Max Medici is the owner of a traveling circus that has everything you’d want to see in a show: super-strong men, crazy clowns, and trapeze artists that defy gravity. Even better, the circus has a pregnant elephant whose newborn calf soon could be the center of the act. For a circus owner living in 1919 America, that’s worth calling the local newspaper reporters. That’s worth attention – and ticket sales. But then his plan goes awry. The birth goes as expected, but the newborn elephant looks nothing like the elephant he wanted. It has huge floppy ears – ears so big that they cover his face and elicit stares from crowds. Soon, though, Medici learns this strange-looking elephant has a surprising talent. The Disney film Dumbo (PG) opens this weekend, starring Danny DeVito as Medici, Colin Farrell as animal caretaker Holt Farrier, and Michael Keaton as V. A. Vandevere, the owner of a theme park. The movie is a live-action remake of the 64-minute, 1941 film that won an Oscar. The 2019 version follows the same script – showing Dumbo being taunted for his big ears and then discovering his surprising talent – but it then extends the story. In the 1941 version, Dumbo flew over a delighted crowd toward the end of the film. In the live-action version, that scene takes place about halfway through the movie. The film’s third act involves a new character – theme park entrepreneur V. A. Vandevere – who purchases the Medici Brothers Circus (including Dumbo) and turns Medici into a partner. They move to Vandevere’s park, Dreamland. Vandevere’s motives, though, aren’t pure. Don’t pay attention to the critics. Most children will love Dumbo. The cinematography is wonderful, and the 1919-era props are, too. Of course, most moviegoers will buy a ticket to watch a flying elephant, and it’s here that the movie soars. Dumbo the elephant is like a furry newborn kitten or puppy – cute, funny and huggable. That’s certainly what Farrier’s two children (Milly and Joe) think. When he’s ridiculed for his big ears, we cringe. And when he learns to fly – while spraying water on the bullies – we cheer. Imaginative director Tim Burton is known for making dark films with strange characters. 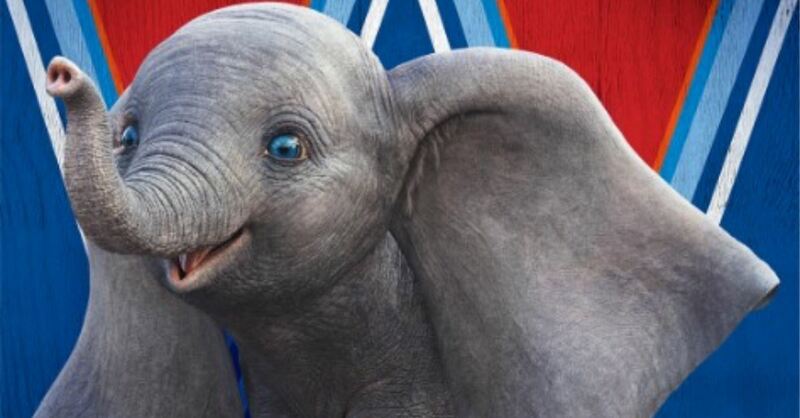 That’s not the case with Dumbo, which looks more “Disney” than “Tim Burton.” That’s good news. That’s not surprising, considering that the 1941 film was, too. Children learn about the pain felt from bullying (Medici ridicules Dumbo as “a face only a mother could love”). They learn about compassion (Milly and Joe care for Dumbo, even when everyone rejects him). They learn to accept and even celebrate differences (Dumbo has big ears, while Milly and Joe’s father has only one arm, having lost the other one in World War I). They learn to find hope amidst loss. (Milly and Joe’s mother died from influenza). Children also learn about the importance of family (by watching Dumbo and his mother, and Milly and Joe and their father). It’s PG for peril/action, some thematic elements, and brief mild language. That’s an accurate description. The peril and action involve circus high-wire acts where people and animals are put in danger, and a scene where a family is caught in a burning tent. The thematic elements include children losing their mom, a father returning home after losing his arm at war, and Dumbo being separated from his mother (that alone might frighten young children). The language includes three instances of h-ll and one misuse of “God” (all unnecessary and out of place in a Disney family movie that’s based on a cartoon). Yes, Disney could have dialed all this back and turned it into a “G” film. But most parents still will consider Dumboa family-friendly flick.